Purchased a pair of sloggers approx 2 weeks ago & left a glowing review,,however after wearing them for 1 hr every morning they are falling apart,,the stiching around the binding at the top of the boot is coming apart,,very disappointed . I have sent you an email in regards to this. 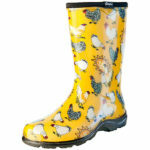 Great for walking dog’s in wet,dewy,frosty conditions, comfortable & easy to clean. I am a ladies size 8 & size 8 slogger fits perfectly. Thank you for keeping my feet dry & comfy. Love these boots. I work in boarding kennels and these are exactly what I needed, good support and waterproof. Super fast delivery too. I use the boots for gardening only. They are not light but most comfortable, sturdy and protective. They are also quite easy to put on and remove. They are a great pair of work boots, and highly recommended. Fast and reliable service from Gardenware, This is my second pair of Sloggers Leisure Boots, and I hope they will lst me years to come. Always fast and reliable service from Gardenware. 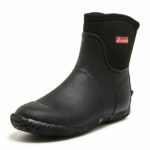 I bought Sloggers Leisure Boots, this is my second pair, and as always warm and comfortable. The service is friendly and fast. I ordered these boots for myself and turned out they were ladies ! Just a TAD small. Entirely my fault. I should’ve gone to spec savers. A quick phone call and return for exchange to the mens was very easy….Unfortunately for me again they were a TAD small. Fortunately for my son though they were perfect and he hasn’t taken them off….MY pair is now arriving tomorrow……3 times proves it. ..Thanks for the phone calls and help Nathalie. The Sloggers Boot were bought to replace a pair which had done very good service and needed to be replaced, they were received promptly and although it’s still early days, we are sure they will provide comfortable service and long wear. Love these boots! In winter, our property is cold and muddy, but my feet are cosy, warm and dry. They arrived by mail soon after my order. I am very happy with the “Sloggers Leisure Boots”. They are the 3rd pair I have purchased. I wear them just about all day every day. 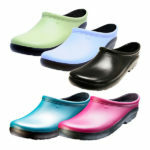 They are great to work in and very comfortable.